A full-service agency means we offer all design services from print advertising, to websites and banners, to brochures and annual reports, to branding and logos. Pogo Design has the resources to take a project from concept to completion, engaging printers, web developers and hosting. We balance intuitive and creative with practical and strategic. After all, what is the purpose of good design? To speak to your target customers loud and clear. The grid of images, on the sidebar to the right, navigates through the portfolio pages. 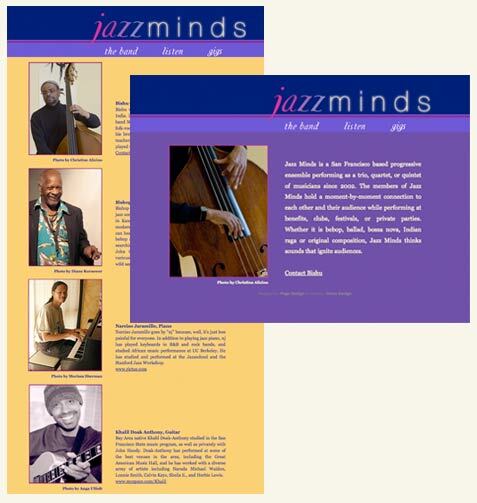 Jazzminds.com website for a San Francisco-based jazz band. Pages include artists' biographies, upcoming gigs, and an audio player. 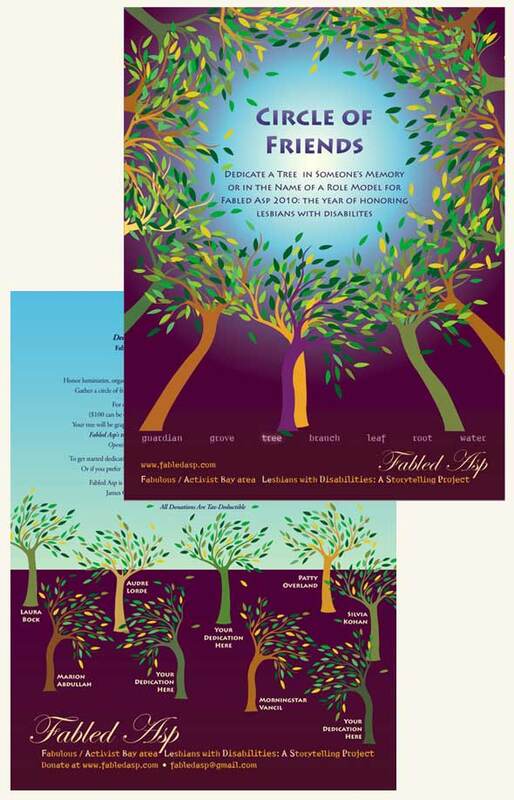 Design and illustration for Fabled Asp's Circle of Friends fundraiser requesting donations to dedicate a tree in honor of a role model or in someone's memory.